77% Cotton, 1.4% Spandex, 20.6% Polyester, 1% other fiber. 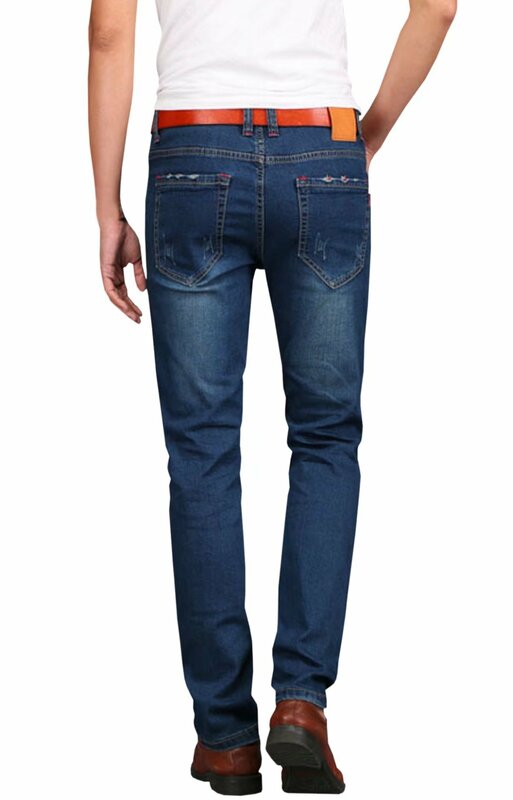 Style: Fashion Slim fit, Street Wear Style Jeans. 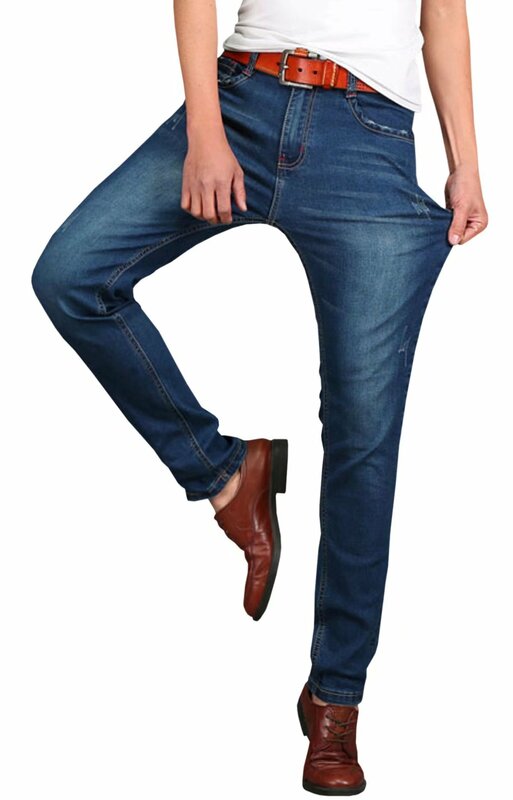 Great for: Casual everyday wear. Your satisfaction are very important for us.We strive to provide you with the most efficient value and service imaginable.Please let me know when you’ve got any issue about our products,our team will provide best service to you. Please Contact us when you’ve got any questions or need any lend a hand!We will be able to give you the best service to you in 12 hours. Size information (inch), don’t put out of your mind to keep inches space to wear it comfortable per your actual need. Size already converted to be U.S, order the size you generally wear is fine.Please ingnore the tag size you receive. Great for: Casual on a regular basis wear. Imported, we already convert the size to be U.S.A Standard size, there has size information in description. Please ingnore the tag size you receive. Pants only, belt not included.